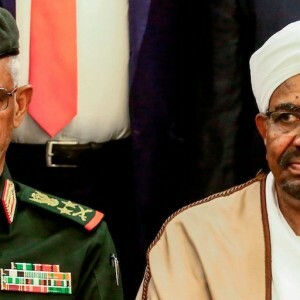 On 11 April 2019, after 30 years, Sudanese strongman Omar Hassan al-Bashir fell. Al-Bashir, who came to power in June 1989 after a coup d’état, was one of Africa’s longest-serving presidents. His fall ironically happened through a coup that came after months of protests by the people of Sudan. As president of the country, al-Bashir led a repressive state apparatus that is implicated in gross human rights violations. Al-Bashir is the first sitting head of state to be charged by the International Criminal Court (ICC). In 2009 and 2010, the ICC issued two warrants for al-Bashir’s arrest on charges of war crimes, crimes against humanity and genocide in the conflict in the western Sudanese regions of Darfur. His are the most charges the ICC has ever confirmed. But will al-Bashir’s fall mean justice for the people of Sudan? Unlikely. At least for now. For starters, the protesters and the transitional authority that led the coup don’t yet agree on much, except that when al-Bashir faces justice, it must be in Sudan. The current transitional authority has already hinted at a domestic prosecution – but not soon. Having given itself up to two years to ‘transition’ out of an al-Bashir-led administration, the authority said if prosecutions were to happen, it would be up to a civilian government to decide. Until then, though, the transitional authority swears it won’t surrender al-Bashir to the ICC. This was probably an assurance given to al-Bashir to get him to resign. Al-Bashir’s continued evasion of the ICC arrest warrants remains one of international criminal justice’s biggest conundrums. What do you do when the people considered most responsible for international crimes are so powerful that no one has the appetite to arrest them? For the ICC, at least since 2014, it is a case of ‘wait and see’. Even though the prosecutor continued to call for his arrest and condemned member states of the Rome Statute that failed to, her office probably knew that the only time an arrest would be possible was after he left office. Now he has. Yet the prospects for his arrest and surrender to the ICC remain grim. So, if not the ICC, what options are there? A domestic prosecution, maybe? A specialised regional court à la Hissène Habré? A truth, justice and reconciliation commission? As with all criminal matters, a domestic prosecution is the first port of call and would be ideal. It allows for greater access to the criminal process for victims and witnesses, and tends to be quicker and less expensive compared to other mechanisms. However, some challenges stand in the way of a free, fair and just domestic prosecution in Sudan. The Sudanese civilian criminal justice system was all but decimated under al-Bashir’s rule, resulting in a judiciary and legal fraternity seen as lacking sufficient independence and impartiality. However it is still functional and could sustain a prosecution of al-Bashir. But if al-Bashir and his allies are the only ones indicted, there could be questions about whether the prosecutions aren’t vengeance or victors’ justice. After all, it is not only al-Bashir and those close to him who should face justice. Others – including some among the coup plotters – are already implicated in serious human rights violations and repression. That they, too, will be prosecuted by Sudanese courts seems unlikely. The other option would be for the domestic prosecutions to happen elsewhere. But for that to happen, there has to be another country (probably invoking universal jurisdiction) that not only charges al-Bashir and others, but can also get them extradited from Sudan. The likelihood of both those things happening is extremely slim given that even though he is the subject of European Union and United States sanctions, to date no country has levelled charges against al-Bashir. Another option would be a truth, justice and reconciliation commission. This alternative mechanism of justice is often preferred after conflict, and offers an opportunity for open national dialogue. However it is insufficient without follow-up measures to assuage the victims. This process would need to complement, rather than replace, criminal justice mechanisms of accountability. The other, and most viable, option is for an ad hoc specialised tribunal set up in Sudan to deal with the past regime’s crimes. This could build on the existing recommendation by the AU High Level Panel into Darfur in 2009 that a hybrid court be established to fill the impunity gap. Under al-Bashir no real effort was made to establish this court. However, with him out of office, this could be revived. There would of course need to be sufficient political will on the part of the Sudanese transitional (and post-transition) authorities for this to happen. To ensure legitimacy and address concerns about victors’ justice, this tribunal would need to be sufficiently independent from the state. For this, the functional regional economic communities that the Sudan is part of would need to partner with Sudan’s government, the AU and possibly other international actors to establish and operate this independent tribunal. It would balance the demands for both domestic and international justice. Whatever process follows – if any given the real possibility that al-Bashir could remain protected, including in another country – it is important that the plight of victims of tyranny is at the centre. While the United Nations, African Union and ICC brought into stark focus the crimes committed in Darfur, other parts of the country are also affected. From the Kordofans in the south to the northernmost states, the past 30 years have left more victims than victors across Sudan. Victims whose dignity needs restoring, victims in need of reparations, and victims longing for definitive justice. For the people of Sudan, justice processes mustn’t forget that. They mustn’t forget them.